Markets – SynergyID | Complex Needs. Simple Solutions. Synergy ID provides solutions for cities, companies and other organizations that need to gain better visibility and control of their assets – including personnel, equipment, inventory and more. 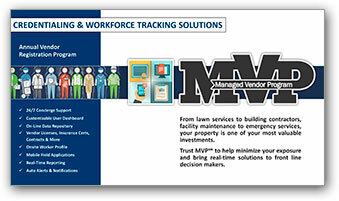 Basic MVP℠ overview capturing smart technology that provides transparent workforce management solutions. 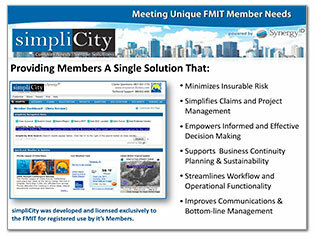 Learn how simpliCity℠ is supporting Insurance and Risk Management through data integration and customizable dashboard reporting. 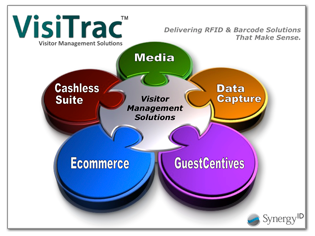 See how VisiTrac℠ is used in the amusement park and hospitality sector to capture real-time data and influence discretionary spending.